www.luxola.com is the good news. Recently I got to know that the Singapore first online beauty shop is now shipping to Malaysia! YESSSSSSSS!!!!!!!!!!!!!! Not just that, the site is also available in Thailand and Indonesia. 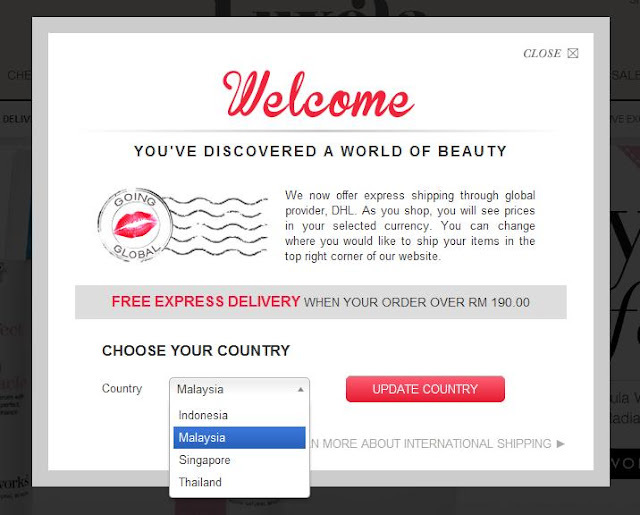 You can choose your country on the site and the price will be shown in your currency. The best of all, your package will arrive in 48 hours! I’m so excited over Luxola because most of the brands are not available Malaysia. I always watch Youtube videos from US beauty gurus and read beauty blogs from all over the world... there are some good brands that are not available in Malaysia that I’ve been wanting to try. Luxola is really a saviour! 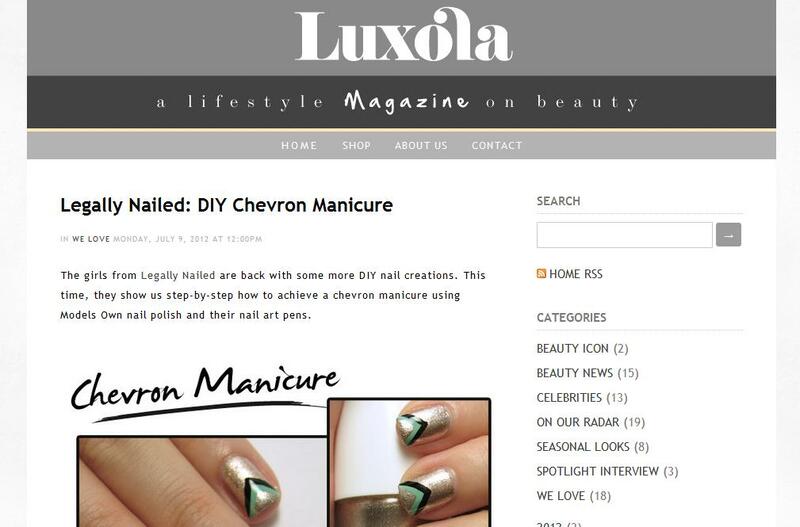 If you check out the site, some of the products are sold exclusively on Luxola only. If you’re a fan of exclusive beauty products, you will be able to find a lot of wonderful items. However, my favourite part of the site is the Sale section. Can you believe it, DUO eyelash glue is only RM17.50?????? 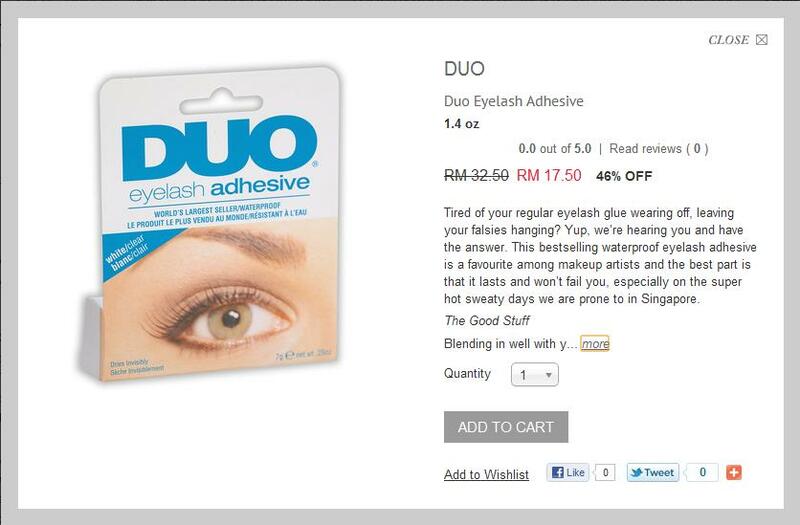 If you buy from retail here it is going to cost you RM42. 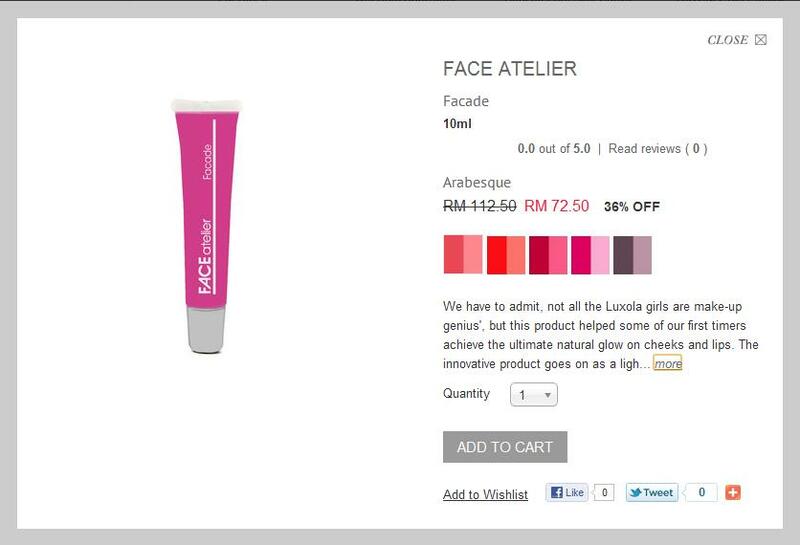 And.... the famous Face Atelier face tint is only RM72.50!!!!!! And this is the product used by many famous artists. If you buy above RM200, you'll get a complimentary free shipping by DHL. Your order will arrive at your door steps within 48 hours. Luxola is not just a shopping portal, it is a growing beauty community online. If you click on the magazine tab, the link will bring you to their blog. There are so many beauty information to digest on the blog. I particularly love the step-by-step nail art posts. Go to Luxola.com site and go through all the products. Then comment on this blog post below to let me know which is your favorite product. If you manage to pick one of my favorite product, I will send you a little surprise gift that I've got from Luxola as well. It is not that hard because I love so many things from that site. I will announce the winner next week Monday (1st Oct). This serves as my October giveaway. This comes a little bit earlier because I can't contain my excitement anymore!!! This is great! Hopped onto the site just now and there are so much attractive things :) The one that really attract me is the Sleek Make Up Dipt-it Duo Volumising Mascara and liquid eyeliner...the nail polishes too! love the models own nail art pen! Great news on an online beauty store opened at Malaysia. I want articles like this. yeah Finally. 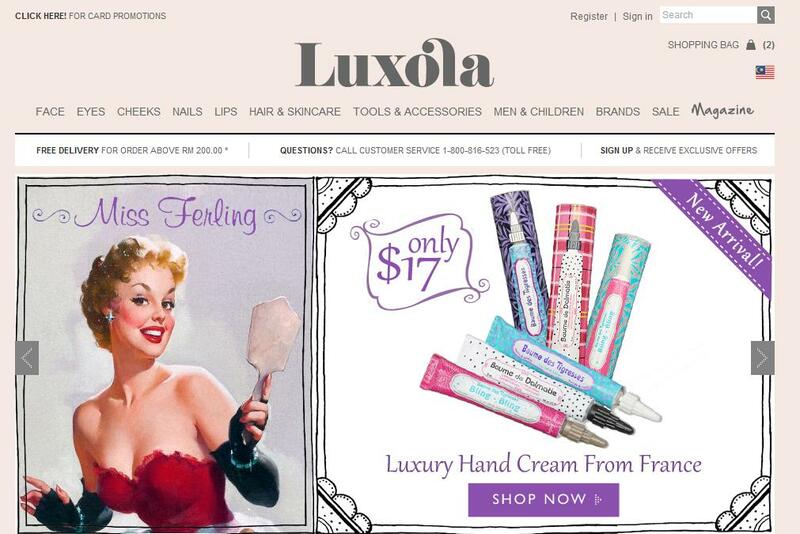 I have been shopping at Luxola.com for long time in Singapore and good to hear that they have launched in other countries too. I must say that they have a quality products as well as quick delivery services.